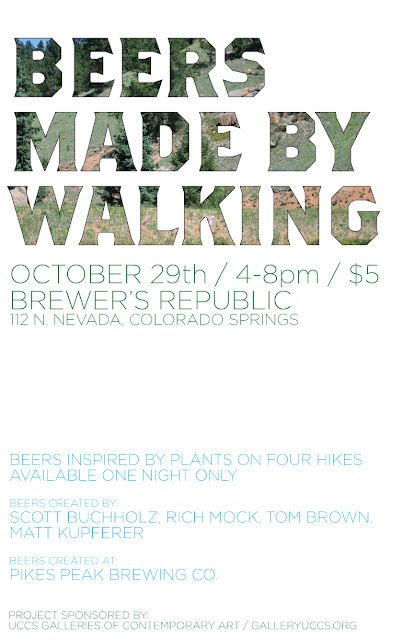 The Colorado Springs 2011 Beers Made By Walking was a seven-hike and eight-beer summer long happening. 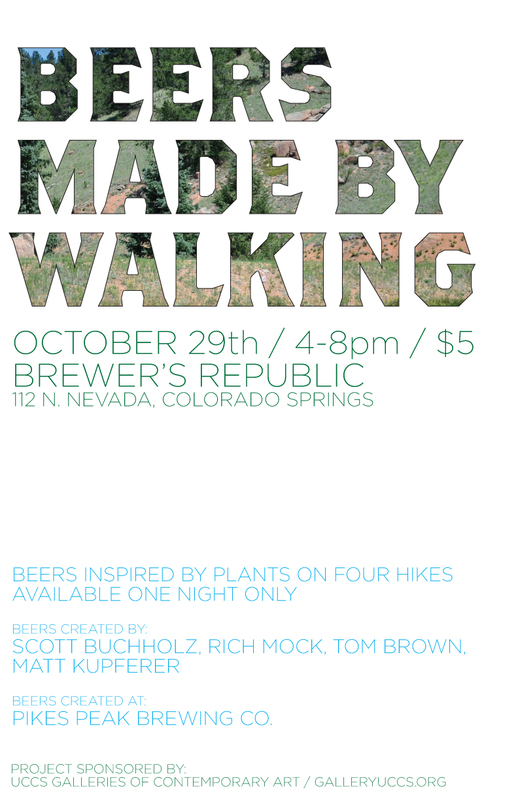 Each public hike had at least one homebrewer come along, we identified edible and medicinal plants and the homebrewer developed a recipe based on what we identified on each trail. The first half of the beers were made over at Rocky Mountain Brewery, ingredients donated by Winecrafters, the homebrew shop connected to the brewery. The second half were produced at Pikes Peak Brewing, a new brewery in the region. There were two tasting events, each with four beers. The beers were served on handmade beetle-kill pine trays and came with a twelve page menu with stories from each hike, about each beer and the brewers.